The One Stop Shop (OSS) in Inverness supports autistic adults and has been funded by the Scottish Government and NHS Highland. But both have refused to fund the service for the next financial year, which begins in April. Unless extra funding is obtained, the service is likely to close at the end of March. People would then find it difficult to stay in touch with their social support networks and access the benefits they need which could lead to poverty and even suicide, a staff member warned. 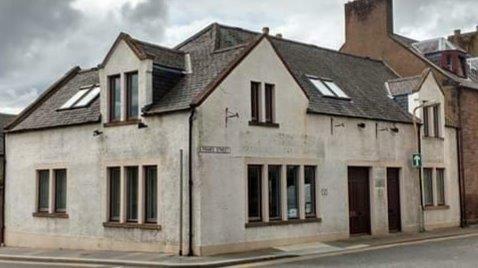 The OSS is based in a building in Inverness where autistic adults can go to socialise and get practical support on claiming benefits, the education system and parenting. Staff also go to Skye, Lochaber and Caithness to host drop-in centres for autistic people. The service helps around 570 people across the Highlands. But NHS Highland defended its decision to cut funding, saying that the support OSS offers is “not within the current priorities of NHS Highland in these challenging financial times”. In 2012 the Scottish Government provided funding to set up six OSSs across the country. Three major autism charities ran two of them with Autism Initiatives running OSS Highlands which is in Inverness. The government funding was supposed to be for three years before these services were to be sustained by local funding. The Scottish Government ceased its funding in 2016 but NHS Highland gave the Inverness OSS £50,000 a year for two years, to help towards its running costs of around £140,000. NHS Highland refused to fund the service for the current financial year, 2018-19. But it was kept going because the Scottish Government and an anonymous private donor intervened to save it for twelve months. A Scottish Government spokesperson told The Ferret: “When we made funding available last year to help keep the Inverness OSS open, we made it clear this was a temporary measure which couldn’t be repeated and it was essential that Autism Initiatives secure sustainable funding from NHS Highland to support the shop in future. Twenty-one year old Ruth Strong has been going to the OSS in Inverness since 2014. She goes there to socialise and staff there supported here when she was very unhappy at college. Before Strong found the service, she did not know many other autistic people and felt she had to hide her autism so that people would treat her normally. Strong added: “At the OSS, people are generally very accepting of each other, despite the fact that we have different interests. Difference seems to connect us, unlike in many other parts of society, where people try to follow the crowd and are under pressure to be exactly the same as everyone else. “If we lost the OSS, I would no longer have a place to go to specifically get help from people who know all about autism. I’d also be a lot more isolated because I’d end up losing regular – if not total – contact with many wonderful friends. Jennifer Pacitti used to be a OSS service user and is now a staff member there, running a drop-in centre and organising activities like going to the cinema or playing pool. She said that, like Ruth, lots of people are worried about losing contact with their friends if the service shuts down. Many of the service users would struggle to deal with the employment, housing, education and benefits systems without advice from the OSS, she said. If the service shut down, Pacitti said: “A lot of autistic people would go without benefits. A lot of autistic people would then hit the poverty line. A lot of people would then be at the point where suicide was an option. Pacitti accepted that NHS Highland has many demands on its funds but said the OSS saves the NHS money in the long-run. Improved mental health saves the NHS money on drugs and support, she said. An NHS Highland spokesperson said: “The Scottish Government originally funded One Stop Shops across Scotland with the intention that they would identify ways to become self-sustaining. NHS Highland is supportive of the work that the Highland One Stop Shop achieves and has met with Autism Initiatives to discuss alternative models of partnership working. NHS Highland is currently making spending cuts on what it calls “an unprecedented scale”. These cuts follow years of overspending in which the Scottish Government has had to plug budget deficits. In the 2018-2019 financial year alone, NHS Highland aimed to save £50 million. Their total annual budget is just over £800 million. NHS Highland attributed overspending to difficulties recruiting, the rising costs of drugs and rising adult social care costs – but the Auditor General also blamed “weaknesses in financial management”. In January 2019, NHS Highland appointed a new chief executive and its chair and medical director have just resigned ahead of a report into alleged bullying.